Everyone’s entitled to express their political beliefs. I don’t presume to tell anybody who to vote for. I am comfortable telling people what my opinions are. Following the ghastly attack on Labour MP Jo Cox on Thursday (16 June 2016), I’ve got inspired to do a poster – after all, I am a designer – to support the REMAIN campaign. I made it on Friday but decided not to hang it until Monday to respect her family and friends, the Labour party, and all around national mourning. The saddest day of ‘My Life in Britain’ – the title given to the test in my process of naturalisation nearly 5 years ago after my final settlement in the UK in 1992! It gave me the time to reflect what kind of dangerous game the referendum has brought upon the nation I adapted as my own, far too close to what I have experienced in the country of my origin 25 years ago – during the months leading up to the Slovene referendum on separation from Yugoslavia (23 Dec 1990), followed by 6 months of uncertainty towards the proclamation of its independence (25 June 1991) and subsequent ‘surreal’ consequences of 10-day war (& not to be forgotten the madness in the Balkans)! Yet, who would have thought that 25 years later as we speak – since the time of sewing a flag of three colours (white, blue and red) for the independence of Slovenia only to be ‘stolen’ during the first night of being hung from the mast on our street – I would be making the poster of the same colours for a similar if only different cause! Yet, who would have thought that after 15 years of living in the same house, my neighbour – cutting the fence outside within two meters away – would give me a stern look and looked away while I was hanging the poster from the inside! In the case of Slovenia, the flag was a patriotic gesture to salute democracy and freedom of speech for the first time ever, while in the case of the United Kingdom, the poster is a hope for keeping Britain within the EU and making her thrive as Great rather than Little! And, what happened on Thursday made me realise that how much is peace – the main reason for founding European Union – still important today and, above all, the most relevant in the context of Brexit. 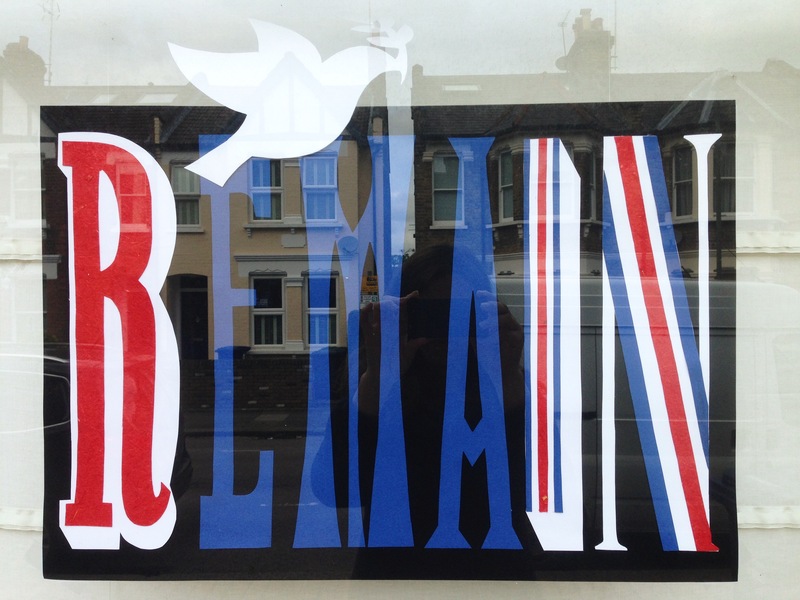 Hence, I dedicate my REMAIN poster to PEACE – through the story of the flag and through the eyes of my grandfather. The empty vessel makes the loudest sound. When referendum was finally fixed with the date of 23 June 2016 back in Feb, I decided to tune my BBC4 talk radio to music channels and my TV news to drama series and films! It was my personal decision to escape from the kind of rhetoric infused into the campaign for the 2014 MEP election. A lot of bias reporting in mainstream press and media and plenty of ‘hate’ voices against European immigrants along the lines of Nigel Farage! It is not surprising that Farage managed to win more seats (27.49% of votes) in the European Parliament than any other British parties, despite the fact that a year later, in the 2015 general election, UKIP, being the third largest party on vote share, secured only one parliamentary seat! Yet, UKIP is far more popular that ‘its single seat’ can cope with as it is occupied by 3 881129 ‘voices’ (12.6%)! I am surprised that it has not yet collapsed by its weight! It is a huge irony that the Leave campaign, generally speaking, while criticising how undemocratically elected the EU is, refuses to look into the mirror and reflect that most problems really start at ‘home alone’ in all aspects of the referendum debate! As in Nigel’s case, who secured most seats for the MEP election due to the system of proportional representation put in place since 1999, ‘at home’ he was not that lucky! Democratic? Also, we vote for MPs representing a party in our own constituencies, yet the party that wins, selects ministers for the cabinet without our ‘voices’! Democratic? Furthermore, our companies’ CEOs can do whatever they want us to do as we have no ‘voice’ over power – in fact, they ‘use’ a system of managers to dilute their ‘executive’ power onto ‘the masses’. UK has the largest amount of managers in the EU and that has nothing to do with the EU! In large companies one no longer knows who does the actual job, except your own CEO, some of whom may spend most of their time tanning in the Bahamas! Democratic? Accept it or not, unless we introduce populist anarchy or socialism, which is a step further towards the left from communism on political left-right spectrum. I don’t think so! It would be worse than REMAIN! EXCLAMATION MARK. It is a huge irony that immigration is the 3rd most prominent issue on TV and in Press, according to media analysis from Loughborough University, yet – while there is no point stating the obvious what kind of positive effect European immigration has had on the life of Britain that we all benefited from – it is interesting to observe that issues such as housing, social security, public services and health care are less prominent! Only in relation to how these European migrants coming to UK to ‘milk the system’, yet failing to reflect – if one believes academics, which I normally do as my tax pays them to do the research – that European migrants are less likely to ‘milk the system’ that the natives! EXCLAMATION MARK. – In my 25 years of living in the UK, all governments, left and right, have failed to provide enough, decent, ‘affordable’ living accommodation for British people that they have been promised to build for them during their election campaign. Instead, the likes of Boris Johnson from the Tory Leave campaign have helped, and made profit from, property developers, who have been given building permissions to increase a luxury living in those ghastly ‘ivory’ towers along the Thames! EXCLAMATION MARK. – In my 25 years of living in the UK, all governments have tried to keep taxes low in order to secure their votes, while we all know – if we take Denmark as an example, the model that media often draws to while discussing a system of great social wellbeing – higher taxes, NI contributions and smaller gap in pay between the rich and poor mean better housing, social security, public services and health care! And a healthier nation! EXCLAMATION MARK. – In my 25 years of living in the UK, all governments have contributed more and more to socio-economic divide between the rich and the poor than any other European state. We are soon approaching the level of the US – the 4th worst divide in the developed world – and might soon float across the Atlantic if we are not careful, whether we stay or leave! UK currently ‘owns’ 7th place, with all European states, apart from Italy, well behind! EXCLAMATION MARK. – In my 25 years of living in the UK, all governments have done nothing to stop British companies – even those that used to be a national asset – exporting many British jobs to overseas. Think of our customer services, for instance – how many times I cursed ‘that person’ on the other side of the line (India, Far East) when I could not work out what they were saying when I was dying to sort out my credit card abuse, my 10 days of being disconnected from BT telephone and internet that I ‘had’ to use for work, or my trying to fix the delivery for London Book Fair at the Olympia Exhibition Centre, yet the person had no idea of the London Street Map! And the list can go on! EXCLAMATION MARK. Yet, to blame all Europeans living in the UK as the main cause of all problems ‘at home’ is a way too much to take for someone, who has naturalised and whose identity is European, the only one! Many of us, like myself, while living in the UK, have long-distance jobs that sit in the EU or other parts of the world, and have contributed to the British economy from the world income for years if not decades! In my opinion, the referendum is an escapism from taking responsibilities to deal with the real issues within the country itself and refuse to accept that all three governments – New Labour, the Coalition and Tory – have done nothing to improve the situation for the masses and will never do, nor will the Brexit that UKIP was so keen to implement! It doesn’t matter who you vote for. It’s still the same billionaires that run the world. If only I was strict enough to turn off Facebook entirely back in Feb! I am still cursing myself not to have gone ‘on fasting’ since I do not need any press or media opinion – let alone those ‘voices’ on social media – to tell me what is good for the United Kingdom! I know both sides of the coin – BUT, whilst I am aware of the negative side of the EU, the positive side ABSOLUTELY wins! EXCLAMATION MARK. Since Feb my only decision to be made was – if I am allowed to use the famous Shakespearean line as my own – whether “to vote, or not to vote: that is the question”. I originally thought that the matter on the future of UK was down to the natives. But, as the time proceeded with all the blame and hate culture towards, us, Europeans, and particularly Eastern European migrants, I decided a few weeks ago that I needed to participate! And, by participation I was to vote against ‘IGNORANCE’ rather than giving my credibility to any parties. My view on the world does not entirely fit in with any British party politics, but since I ‘sit’, as we speak, in a Tory constituency, I voted Labour in 2014 – my first vote in general elections since naturalisation – as I am not a Tory and shall never be, nor do I shake hands with any extreme political thoughts, left or right! EXCLAMATION MARK. 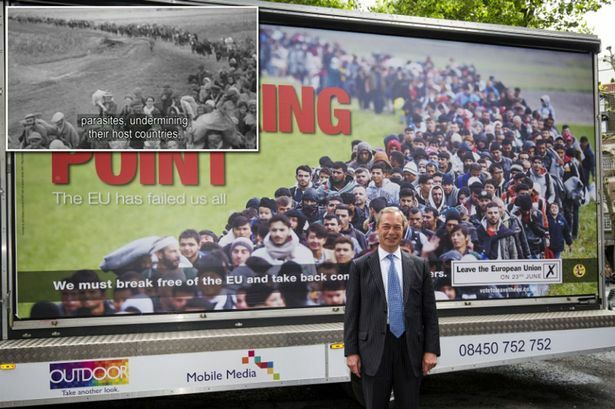 So, hours before the attack on Jo Cox, Independent, via Facebook feed, informs me of Nigel Farage’s unveiling of the billboard campaign – Breaking Point – while smiling! EXCLAMATION MARK. And, if I return back to the beginning of Ben Affleck’s quote, I agree that everyone is entitled to express their political opinions. But, the billboard was pushing the boundaries of freedom of expression a bit too far! The message was extremely oppressive, offensive and unforgiving. Not only from the point of view of similarities with propaganda images – or more specifically, as someone, according to the article, pointed out a parallel to the images of the Nazi’s Final Solution as shown on BBC documentary via Netflix–, but also from the point of view of the image of Syrian refugees that I visually immediately connected to those images from the border between Slovenia and Croatia that I saw on Slovene TV last summer! The images that no one wanted to see! The images of people that Europe does not want to have! The images of people who fled the war that we – the western world – is happy to sponsor through bombing! So, it did not come to my big surprise, when on Monday – after I placed the poster in the window and I finally re-tuned to BBC4 in order to make my campaign begin – that ‘my suspicion’ was confirmed! Speechless, exhausted and ashamed of the kind of Britain I ‘naturalised’! EXCLAMATION MARK. To use the image that was taken at least 1000 km away from the UK border and, even more, to use the image of non-Europeans within the current EU immigration debate, is a record low even for a party that has only one seat in the Parliament! None of my plentiful art history books on the power of images – used by totalitarian regimes of both side of the (political) coin show any of the sort – neither through art nor through poster propaganda images. Exploiting the truth of a dismally humiliating situation in which Syrian people have currently been subdued due to the terror of civil war through the immediacy of photography as a medium is a double record low. It is stripping those unfortunate people of their identity as descent human beings giving them a role of perpetrators for the crime that they have not even committed. Or was their crime – entering the EU zone?! EXCLAMATION MARK. The billboard is a sign of emotional manipulation of the kind of rhetoric Nigel Farage has been using on the road paved to the central seat of our democracy! As early as 1981, David Emms, the teacher of Dulwich College, warned other teachers in his protest letter of the kind of character the college had confirmed him as a perfect. I have often heard you tell our senior boys that they are the nation’s future leaders. Emms was not mistaken, yet is scary to think that Farage – an already Nazi-driven youth – later on, indeed, manages to raise to a position in which he is given the power to manipulate the masses through images and speech in such a short period of time. Lastly, all advertising of such exposure should be morally and socially responsible. As a designer, all I can say that the designer or the agency should be utterly ashamed to take profits from that kind of job! They must believe in the decency of the character of their employer! No EXCLAMATION MARKS? Cowards die a thousand deaths, but the brave only die once. As if the day of the attack on Jo Cox has not yet started badly enough for me. 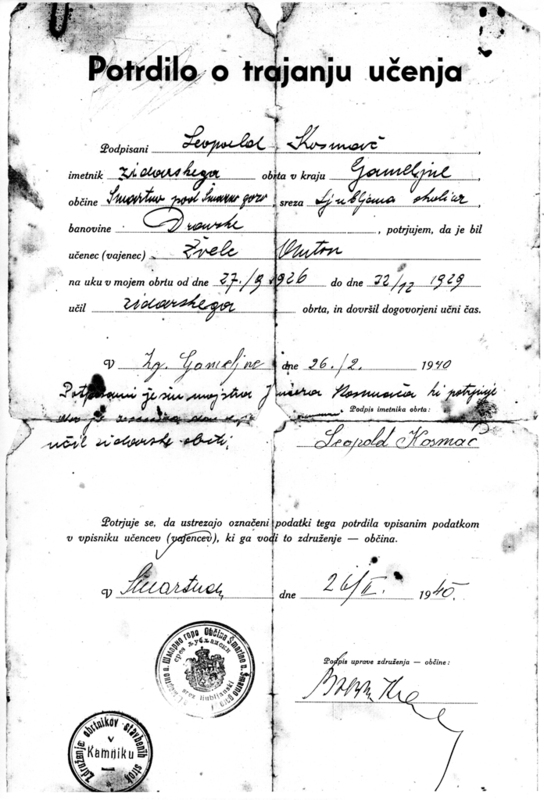 While researching an article, I discovered that my mum’s father, who was put into a forced labour camp in 1943 by Austrian SS due to his skills and experience – digging the Loibl Pass, a 1570 m long tunnel under the Alps between Slovenia and Austria ordered by the command of Austrian SS Friedrich Rainer in order to make a military passage into the Balkans as fast and as easy as possible –, must have, in fact, witnessed the Holocaust! EXCLAMATION MARK. That my grandfather’s skills and experience were in high demand is without question as the labour shortage throughout Europe during WWII for war infrastructure is not a rocket science! 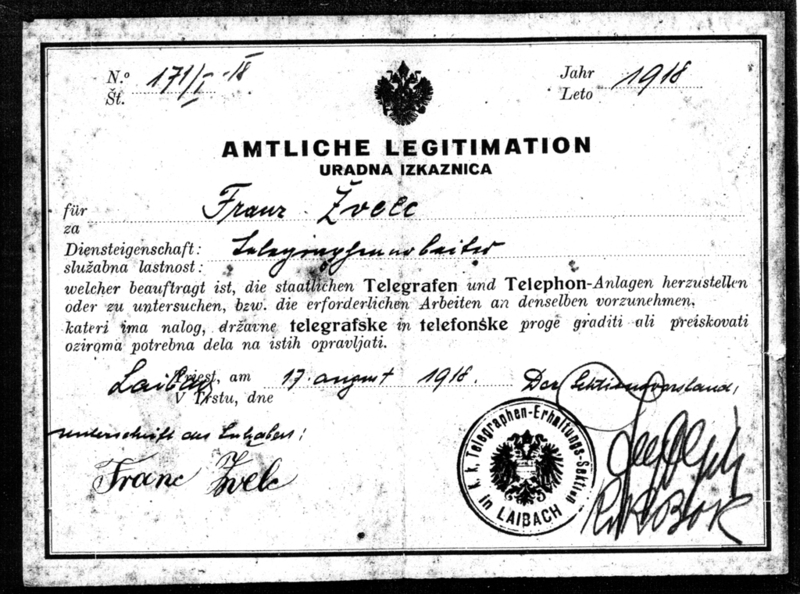 He was born (17 Jan 1907) into a family of ‘civil engineering’: his father’s ID (‘Amtliche Leigitimation’) was issued on 17 Aug 1918 just before the end of WWI (11 Nov 1918) for his work on repairing telegraph systems for the Austro-Hungarian Empire that Italians had destroyed during one of the worst battles in WWI – Battles of Isonzo – as eternalised by Ernest Hemingway in his novel A Farewell to Arms. According to the certificate (26 Feb 1940) stamped by the Guild of Civil Engineering, my grandfather completed three years of practical apprenticeship in building industry (Dec 1929). 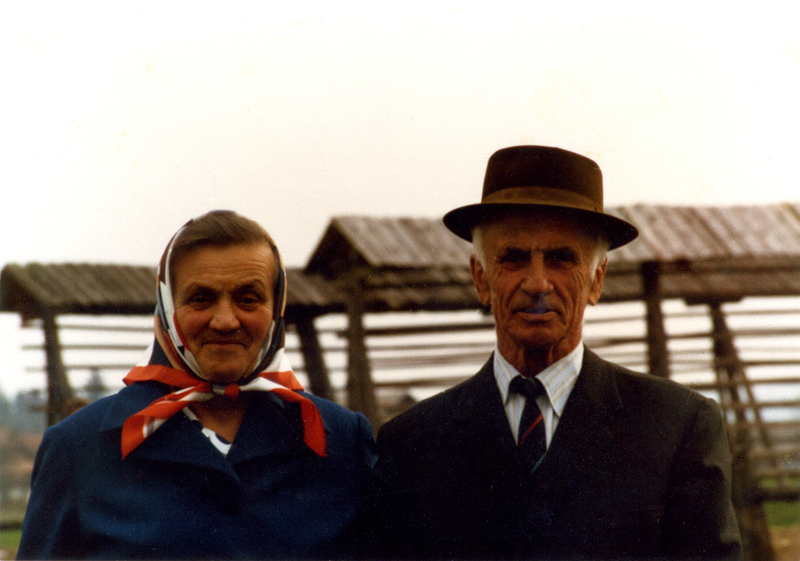 My grandfather managed to escape and joined the partisans to fight the war against the Nazis! I knew about his involvement with the partisans while he was still alive, though he never really liked to talk about what really happened in the war when I asked him questions for my homework – he would prefer to reply by singing the Yugoslav version of the Internationale as he loved signing more than talking, while I went on to invent a heroic story to satisfy the Communist educational establishment! EXCLAMATION MARK. That his battle against Nazism must have been extremely bloody I have no doubt until today. Yet, I had no idea of his reality of ‘the digging job’ at the Loibl Pass until Thursday morning! I realised that he was in the forced labour camp well after his death in Oct 1999, but I had no idea that it was part of the Mauthausen-Gusen concentration camp under the notorious SS commandant Julius Ludolf. Nor did I ‘try’ to think that executions – an injection of petrol into the heart of the weak, the sick and the injured by the camp physician SS Sigbert Ramsauer – might also happen there! Probably because up until then I could not accept his vulnerability in the camp and the fragility of his existence! EXCLAMATION MARK. Ramsauer, who also practiced private experiments by the same method, called these executions ‘a beautiful death’!!! EXCLAMATION MARK. Even worse, if labourers were discovered while trying to escape the injection was their punishment! And to my horror, in the worst scenario, I would not be writing this! EXCLAMATION MARK. It was extremely upsetting to realise how much indeed he must have been traumatised in life – unless he told my grandmother, he, as a silent witness, took ‘the secrete’ to his grave, having kept it ‘in the dark’ for 45 years! EXCLAMATION MARK. Ich hatte keinen Grund, auch keine Veranlassung, jemanden zu hassen. Aber ich habe – na sagen wir es mal so – diese Menschen schon als minderwertig empfunden. [‘I had no reason, no reason to hate someone. But I have – well, let’s just say – already perceived these people as inferior’]. Shocking and shocked! And deeply hurt! EXCLAMATION MARKS. On the other hand, my grandfather was offered a special medal for his bravery but decided to decline the Communist membership as his belief in God was stronger than in Communism! 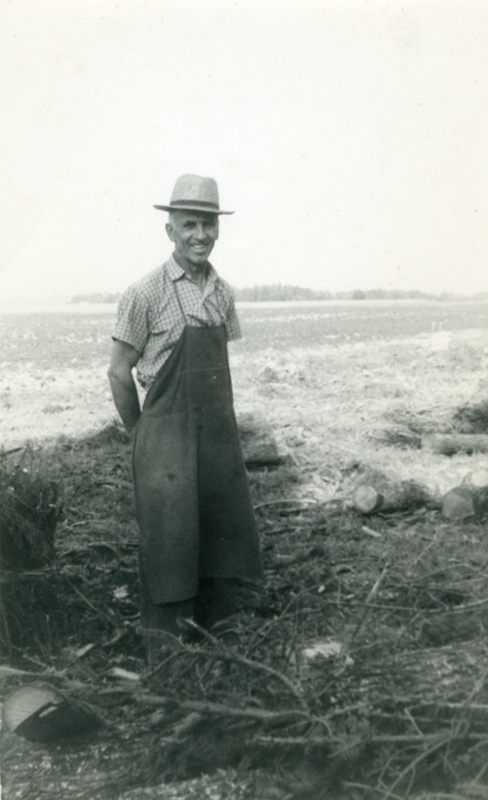 Whether he really believed in God as a way of reconciling his past, I am no longer sure. All thinking men are atheists. You may say I’m a dreamer, but I’m not the only one. I hope someday you’ll join us. And the world will live as one. 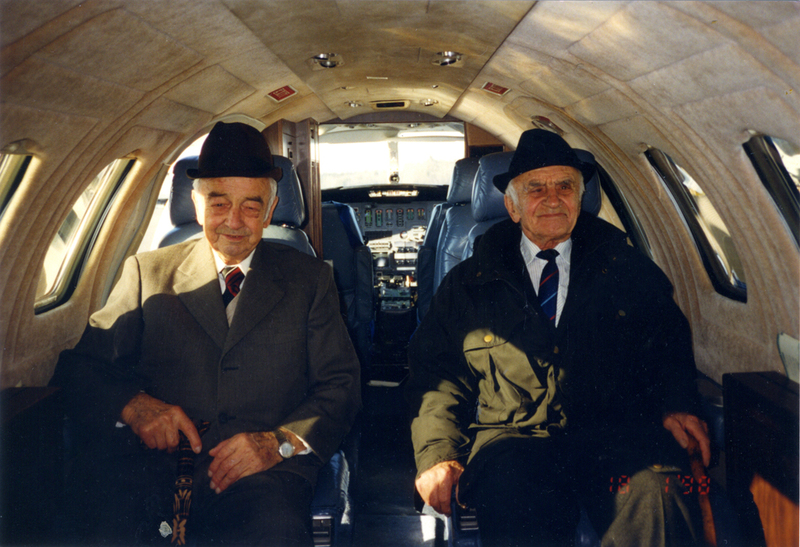 – Fifth, PLANE – freedom – him longing to see the world from the above, the dream that finally came through on his 91th birthday accompanied by his brother. – And final, TUNNEL – reconciliation & forgiveness. 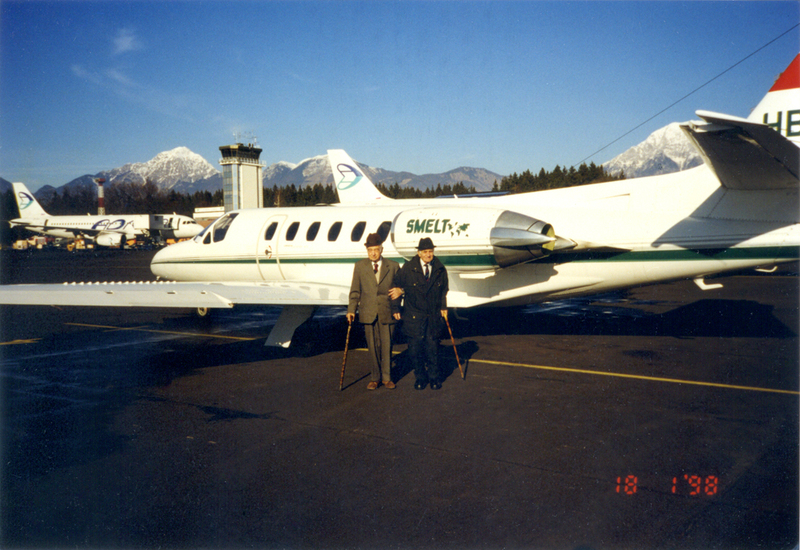 It was our last journey together at the end of August of 1999 before his death. While returning to London from Klagenfurt via Vienna, he wanted to accompany me to the airport and, as he said, to visit the Loibl Pass for the first time since ‘his digging job’. When we arrived at the border crossing – Slovenia was then not yet part of the EU – we realised that his ID was still from Yugoslavia, so he could not go through ‘the tunnel’ to Austria. 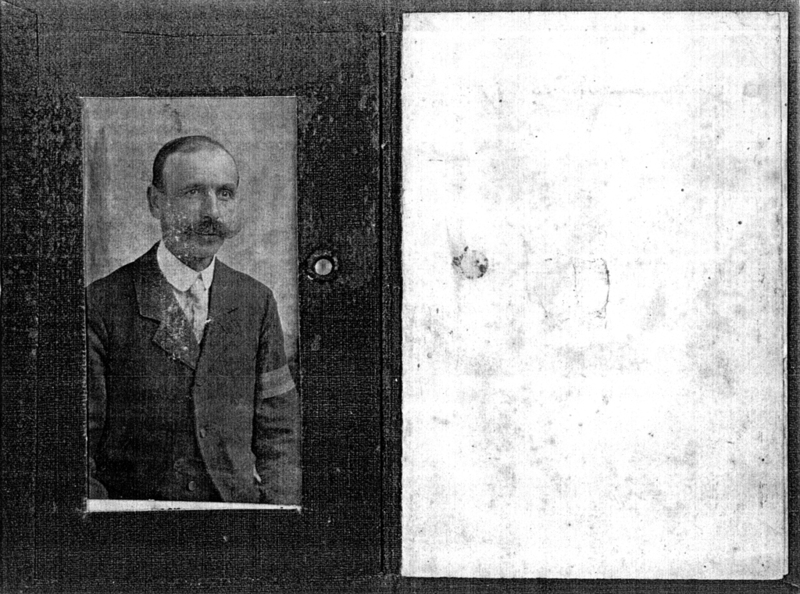 I still see him standing there on the Slovene side of the border transfixed in his time and space, waving his graceful goodbye, while I wept like a child, knowing that was our last parting. Although not showing I knew he felt extremely disappointed from the inside by not being able to accompany me, but only on Thursday did I realise that his ‘real’ desire to enter into ‘the tunnel’ was his hope to let go of the past – ‘the tunnel of darkness to see the light on the other side’ – and to forgive all those that had caused him harm and injustice. His ‘pass’ was for him a symbolic bridge for hope towards light, a hope for freedom and peace! Thank you, grandfather, I now understand why I could not write your story of ‘heroic actions’ as a child! I, now, can, as an adult. Thank you for giving me such a great opportunity to live in peace and inspire me to fight for. I will vote REMAIN as this is how you would want me to, singing with hope that peace you fought for is preserved for posterity. For love rather than hate!